little bee books, 9781499802283, 32pp. 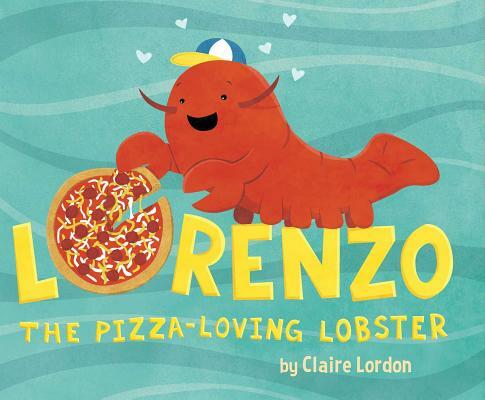 When Lorenzo the lobster is wandering on the beach and discovers a pizza, it becomes his favorite food ever! He comes back home to tell his friend Kalena the sea turtle about it, and together they try to make it. But, Lorenzo can't remember exactly what was on it. Was it made with seaweed cake, kelp paste, eelgrass, and sand dollars? Or kelp dough, squid ink, algae, and coral rings? Or maybe sponge patties, jellyfish jelly, seaweed noodles, and seashells? After a few unappetizing attempts, Kalena becomes frustrated with Lorenzo and leaves hungry and unhappy. As she walks home, she comes across something delicious . . . It must be the pizza Lorenzo was talking about! She's so hungry she could eat it all, but she brings it back for Lorenzo and her to look at together. Once they figure out how to make it, they have a pizza party for all their friends! Claire Lordon is an illustrator and designer who has created digital illustrations, surface designs, and greeting cards for a number of companies. She earned her BFA in illustration at the Rhode Island School of Design, with a focus in digital illustration, educational media, and surface design. A lifelong enthusiasm for adventure and the outdoors always beckons Claire to travel and try new things, which continually inspires her work. She loves nature and enjoys running and hiking, and she is very excited to be publishing her first picture book. She lives in Brooklyn, New York. You can find out more about Claire at clairelordon.com.